We are addicted to Street Art. 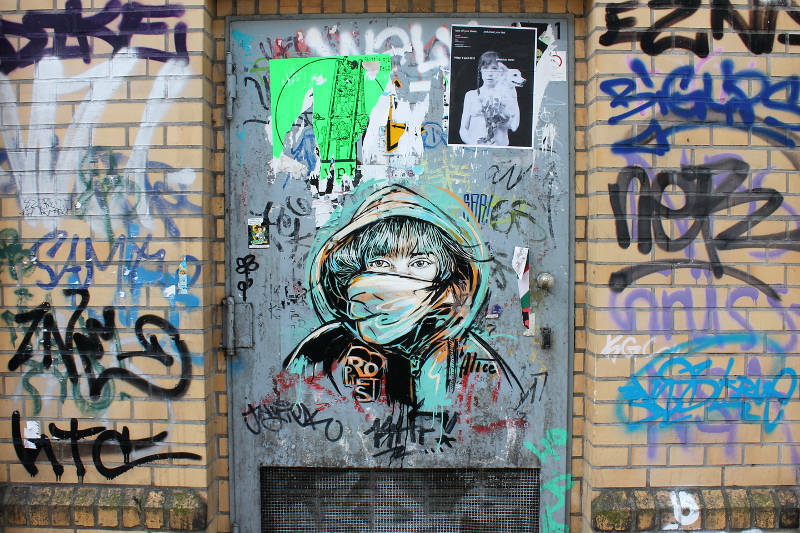 We first started to document the Berlin street art scene on a non-commercial way e.g. with doing photos. We wanted – and of course we still want- to share good photos, proofed authentic information about the street art and street artists, interviews and reports on our blog and the socialmedia channels like Facebook. The first aim was and is to support the street art and the street artists. So we started to use our huge international network and our knowledge to do local, national and international projects, murals, commissions and artists exchanges – all in cooperation and total agreement of the street artists who are and should be involved. Nowadays we addionally are curating and running local, national and international exhibitions, organise events and do creative consulting. We also provide advise to collectors and museums in building up, develop or expand their street art collections. For further questions don´t hesitate to contact us. We want to support a living international street art scene. Worldewide! You want to organise an artist exchange? With us you have one of the best and most experienced team by your side. Just contact us to all needed information. If you are an artist and want to come to Berlin we can give you support in finding great walls and excellent places to paint or help to organize an exhibition. Just contact us and ask what we can do for you and your art. You should not be doubtful: We hosted a lot of high class international artists in Berlin. If you want, asked for our references. Street Art is getting more and more popular. The artists often work hidden and are anonymus. So we can offer you meetings with members of the street art scene in Berlin to get an interview or an article. Also if you write about the Berlin street art scene or an artist and need some pictures (e.g. from current, old or gone art pieces), we provide a big and useful collection of street art pictures to use. Get in touch with us. If you are looking for an artist for an event, a project or an art order, don´t hesitate to contact us, too. If there is a special topic we can also provide you a choice of good, well working artists. If you are interested in a concrete one, we can do the connection. Just get in touch with us. Are you interested in buying an unique piece of art from a street artist? We can offer you the connection or urban art pieces that already exist. Just ask. We are working together with many artists and are open for your ideas.